You guys know how much I love Soap & Glory. It's one of my favourite brands and you'll be happy to know that my Yule Monty set is still being put to good use. This came with said set, and I didn't really know my thoughts on it at first. I knew I had to start using a cleanser but I never really bothered until one day I wanted to try something new. And oh my, this is a fantastic addition to my skincare routine! I think I use this the wrong way - I use it to remove my make-up but I might invest in a miscellar water to do that. They seem to be so popular at the moment, especially after the success of Bioderma within the blogging community. I like using this after a shift at work, when my skin is full of make-up and very oily. You probably know, as I've talked about it lots on this blog, that my skin has been especially bad the past couple of months. I've noticed a definite improvement recently and I believe I have this cleanser to thank for that. It is effective as a make-up remover, however I don't wear that much make-up so I can't comment on whether it will work for everybody, and at moisturising my skin. It's a 3-in-1 so it cleanses, smoothes and revitalises. It claims to melt away make-up and blackhead-causing buildup, as well as declogging the T-zone. It pretty much does everything I'd want out of a cleanser. But did it really live up to my expectation? As you can tell, I'm completely in love with this cleanser. I can't think of any cons! I'd 100% recommend it, it's only £8 from Boots so it's a cheap investment into your skin's wellbeing. I promise you won't regret buying it. 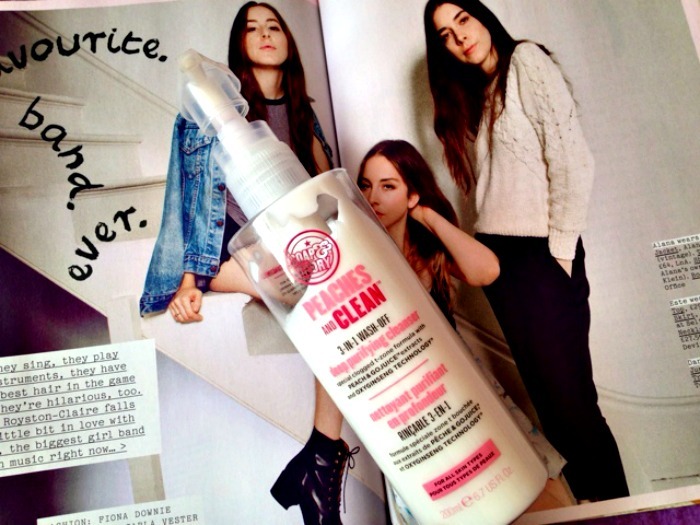 Have you tried the cleanser? What are your thoughts? I've never tried this cleanser but it's on my to-buy list. I can imagine it smells amazing like all S&G products. I a using the Garnier Micellar Water at the moment and it works amazingly. I've never thought of S&G for skincare - just shower and body products! I think you may have persuaded me to invest in this. I currently use Garnier simple Cleanser & Toner (not sure on the exact name)and I love them, but they're nothing special. I also use cleanser to get rid of makeup too. I recommend the Body Shop for cleansers as well- I've been a huge fan of their Vitamin E one for years. I'm definitely getting this next!